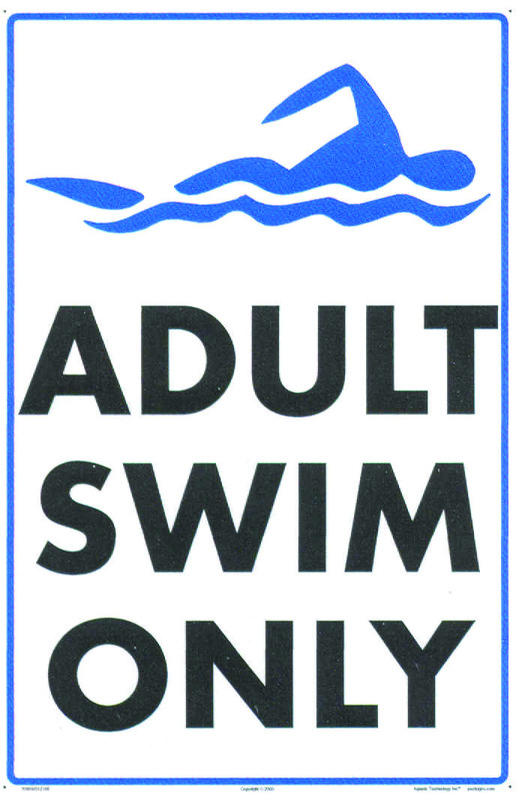 Perhaps the most trying time at the pool is Adult Swim. The kids are unhappy and honestly, I am not sure I enjoy it any more than the normal swim times (aka, kid swim). Not sure I understand the point. But, it does at least provide a break time and a target for departure (“We are leaving at the next Adult Swim”). So, the kids at the table next to us were having some coping issues. One little boy (who’s mother stated several times was due for a nap) continually whined about the time. He said 10 minutes was too long, that he wanted to get back in the water, whine a little then repeat. Although I wanted to respond to him and in some manner, get across to him that 10 minutes would be even longer if you were being tortured (perhaps by being hung upside down until all the blood rushes to your head, or by a whining kid sitting next to you) but at his age, and current mental state, it would have been wasted breath. Then it happened, the attitude spread. The other kids in his tribe of brothers, sisters and friends began to whine too. And they got snotty with such manner as a defiant statement like “Well, I am going to go sit by the pool and wait” followed by a stomping off (which I am sure hurt her heels more than proved her point). It was funny how quickly the others chimed in. Perhaps it was to get some attention too, perhaps everyone was just hot, tired and also in need of a nap (I could have taken one if it weren’t for all the whining noise). What should have happened next, in my opinion, is the parents should have taken control. There was an outbreak of whining! No one was managing the whining. No one was stopping it. Nor were they simply ignoring it, which often makes it reduce to a whimper then cease (whining is typically fueled by attention). They were responding to it in a whimpy, non -authoratative way. They were condoning it by not taking charge. Their approach was making it worse and contagious. Granted, this was a short time, less than the 10 minutes for adult swim. It was bearable. But even my oldest turned to look at me as if to say “What’s wrong with them?”. It was noticeable and I think a glimpse into their world where the tribe runs the house. Not a house I could live in. I would have to stop the whining somehow. Be strong. Be the authority. Whether you take it head on or ingore it to make it go away (at least for a little while, if it continues, you have to go with the head on approach). Whatever your tactic, control the tribe! We are parents. We are adults. We are smarter than they are (except perhaps in modern history or some more complex math that they just learned and we haven’t seen in a couple of decades). We can control the tribe and lead our pack. And we can survive Adult Swim in a comfortable and controlled manner. Now, back in the pool! !